Below you can view all the homes for sale in the Fox Run subdivision located in Marietta Georgia. 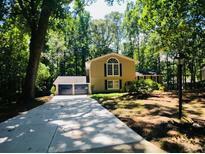 Listings in Fox Run are updated daily from data we receive from the Atlanta multiple listing service. To learn more about any of these homes or to receive custom notifications when a new property is listed for sale in Fox Run, give us a call at 404-998-4102. 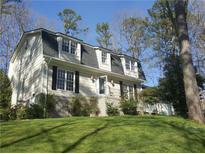 2C Garage, New Fixtures, Flooring, Ac, Driveway, Insulation; Opt Hoa ($50), W/Option To Join Chadds Walk Pool+Tennis. Must See! MLS#6532922. Maximum One Greater Atlanta Realtors. **Amazing Ready To Move In Condition Home**Renovated Inside Whole Area**Upgraded Hardwood Floor Upstairs & Main Floor**New Paint**New Roof 2019 Yr**Upgraded At All Bath Room**New Ceiling Fans Thru Out**Upgraded New Kitchen Area W/ New Stainless Cook Top, New Stainless Dishwasher, New Stainless Microwave & New Samsung Refrigerator**New Granite Counter Top W/ Back Splash & New Style White Cabinet W/ Glass Window**New Washer & Dryer**New Auto 2 Car Garage Door W/ Epoxy Coating Floor**Private Wooded Backyard W/ Pro Landscape W/ Oversize Patio**Must See**Winning School District** MLS#6531625. Focus Realty Investment. Huge Backyard, Nicely Landscaped, Large Patio And Storage Building. MLS#6529519. Dorsey Alston Realtors. This East Cobb Treasure Is Located In Excellent School Districts Of Tritt, Hightower, Pope! MLS#6519307. Keller Williams Rlty-Ptree Rd. So Much Potential! Come Check It Out Today! MLS#6093439. Century 21 Connect Realty.